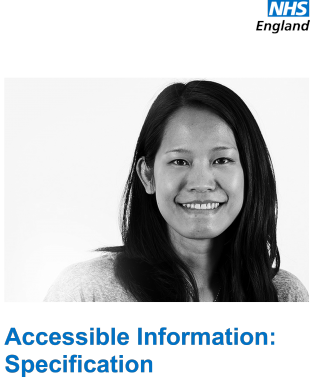 The standard aims to ensure people who have a disability or sensory loss get information they can access and understand, and any communication support that they need. It came into force by law (section 250 of the Health and Social Care Act 2012) on 31 July 2016. Full compliance with the standard is challenging for screening, both for the PHE national team and local providers and commissioners. But it is essential for making screening truly equitable. People with learning disabilities face many health disadvantages and are 58 times more likely to die before the age of 50 than the rest of the population. Screening helps prevent premature deaths, so uptake among people with learning disabilities and other vulnerable groups is an important indicator of screening quality and equality. As part of the Accessible Information Standard, we must do 5 things between us nationally and locally. At a national level, we have set up a new group to look at how we develop, review and quality assure easy read information about screening for people with learning disabilities. We will also be looking to develop consistent processes and resources for people with sensory losses. 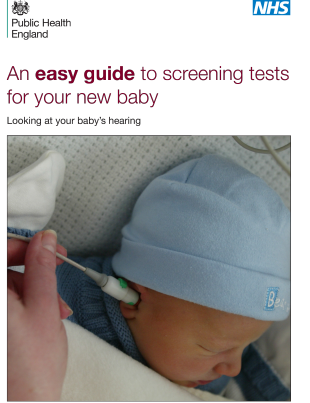 We have started by working on new easy read versions of the Screening tests for you and your baby booklet and hope to be able to share these with you soon. However, producing easy read information is not easy and it will be many months before we have addressed all the accessible information needs of the 11 national programmes. In the meantime, if you are developing your own resources locally, please share them with us by emailing phe.screeninghelpdesk@nhs.net so we can share them with other providers via this blog if appropriate. More information is available from the NHS England website in a range of formats, along with a range of resources to support effective implementation of the standard, including links to e-learning modules.